My good friend Adam Meister – i.e, the “Bitcoin Meister” of (rapidly increasing) YouTube fame – sagely stated today, “you get rich slowly, and poor quickly” – which goes double for those utilizing traditional valuation metrics in historically manipulated markets. Fortunately, no financial manipulation, throughout the course of history, has ended well; and now that the “custodians” of history’s largest, most destructive fiat Ponzi have reached their ‘trapped rats on a sinking ship’ moment, the “dotcom valuations in a Great Depression” their financial Frankenstein monstrosity has created have put the entire world at the edge of an irreversible abyss. 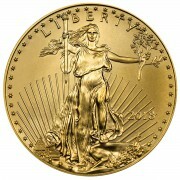 Fortunately, “value” – like what is present in today’s historically low inflation-adjusted Precious Metal prices; and equally undervalued silver/gold ratio; doesn’t vanish because the powers that be want it to; any more than “pigs” – like the vast majority of Western stock, bond, and real estate markets; or PIIGS – like Italy, Spain, and Greece; can be “beautified” by Central bank monetization, overt or covert. 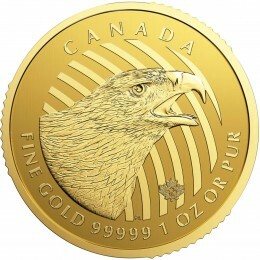 In Precious Metals’ case, the manipulation that has been ongoing for decades has caused exponential demand growth – such as, for instance, a five-fold increase in U.S. Mint Silver Eagle sales from the 2007 pre-financial crisis level; plunging mine supply – as evidenced by consensus forecasts of a 20% gold production decline through 2024; and vanishing above-ground, available-for-sale inventories – per COMEX’s registered inventory plunges of 74% for gold – since September 2011’s “Operation PM Annihilation” raid; and 60% for silver, since the 2008 financial crisis. And by “suppress,”, I mean blatancy even I have never witnessed; starting Wednesday, when paper gold was attacked at the 12:00 “cap of last resort,” mere minutes after hitting a new 2017 high, with the key psychological level of $1,300/oz in spitting distance; following the horrifying DOE inventory report that caused crude oil prices to precipitously plunge. Next, on Thursday, 90 minutes after the ECB took Central bank credibility to a new low by “unexpectedly” lowering its inflation forecast – at the Cartel’s “key attack time #1” of 10:00 AM EST, no less – “someone” dumped $4 billion of paper gold on the COMEX (i.e, four times more than its available-for-sale inventory) to push it below its 5½ year trend line, at roughly $1,274/oz. Followed by Friday – gee, that chart looks eerily like Thursday’s, and countless other “trading” days before it – when gold suddenly plunged at 10:00 AM EST, when the historically overvalued tech stocks finally declined significantly, for the first time in memory. To that end, how can the “Dow Jones Propaganda Average” have risen 70 points, whilst the NASDAQ plunged 113? The answer being, TPTB are so terrified that their historic Ponzi scheme will spectacularly implode, they’ll do anything to stem the tide, no matter how obvious their actions become. And for those that believe gold declined because of the “shocking” UK election result – which I mocked in great detail Friday – the fact that the Conservative Party lost so many seats had nothing to do with BrExit; which, if anything, is more assured following Thursday’s election result. To the contrary, it was the young people that came out in droves to vote for the Labour Pary – not because they oppose BrExit, but because they are desperate for the greater amounts of “free” entitlements Labour promised, in yet another nation experiencing dotcom valuations – that principally benefit the “1%” – in an increasingly Great Depression Era. News-wise, it’s the usual PiMBEEB onslaught – featuring the accelerating collapse of Spain’s eight largest bank, LiberBank; just two days after its sixth largest bank, Banco Popular, had its entire publicly-held debt load bailed-in, and its entire equity destroyed by an ECB-orchestrated “take under,” for the princely sum of ONE EURO. But don’t worry, Europe’s economy is “growing,” and nothing bad could possibly happen with European stocks and bonds at all-time high valuations. And what’s that you say? U.S. restaurant sales and traffic “unexpectedly” declined for the 15th straight month – whilst state tax receipts plunged the most since the 2008 financial crisis? And how about the “tax cuts”; “fiscal stimulus”; and Obamacare “replace and repeal” that were supposed to spur “Trump-flation”’; save America; and justify the highest-ever stock, bond and real estate valuations? Or the debt ceiling we’re to hit in a few weeks? Or the exploding political dysfunction and infighting that are tearing America’s government – and social fabric – apart? Or the record household debt – amidst surging student, auto, and credit card loan delinquencies and defaults. And parabolically rising bankruptcy filings, amidst across-the-board plunges in essentially all economic data? Or the rapid dismantling of the investment theses of the market’s leading companies, from Tesla to Uber to the mighty FANGs? Or exploding geopolitical tensions in North Korea, Syria, and Qatar, to name but a few? Or the 22 “leading” economists urging the Fed to increase its maximum inflation threshold, so more money can printed? But don’t worry, none of these issues are worth considering, as they can’t possibly yield “risk asset” selling or safe haven buying. And oh yeah, the Fed – which meets again Wednesday; – will raise rates to the sky and shrink its balance sheet – in a parallel world, featuring unicorns, leprechauns, and benevolent investment bankers. All that venting aside – of the frauds that will be exposed, and the manipulations that must be unwound – I want to move on to today’s principal topic, the extreme undervaluation of platinum. 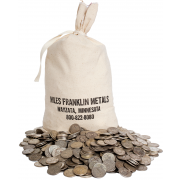 To that end, today’s article is a follow-up to the first “platinum, the forgotten Precious Metal article” – penned in January 2016, just three days, and five percentage points, from its ultimate bottom at $820/oz. Subsequently, it rose as high as $1,175/oz in August – when Precious Metals experienced their last Cartel-induced “interim peak”- before falling to today’s ultra-cheap $940/oz. 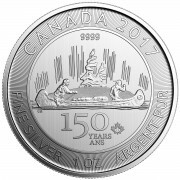 At the time, my heightened interest in platinum – which in small amounts, should be a part of any significant-sized Precious Metal portfolio – was due to the fact that not only has it had a 90-plus percent directional correlation with gold and silver for years, amidst an environment featuring the lowest gold and silver prices since 2009; but that the platinum/gold ratio itself had become severely undervalued – having fallen to a 17% discount to gold, after spending four decades trading at an average 22% premium. To wit, platinum and palladium are so tied at the hip, they are only mined together, at essentially the same minuscule rate, with the same ominous production outlook. Not to mention, roughly three-quarters of platinum and palladium production occur in South Africa – a political and electricity basket case whose mining industry is in terminal decline, to the point that the Rand has collapsed to nearly an all-time low; the country is officially in recession; its credit rating was last week downgraded to one notch above junk; and its political situation is so chaotic, its illiterate President was nearly ousted last week, amidst rumors he intends to institute draconian private land confiscations. According to Johnson Matthey, one of the mining industry’s leading consultancies, platinum mine supply peaked in 2011 at roughly 6,300 tonnes – which, put into context, compares to 2016 silver and gold production of 27,500 tonnes and 3,200 tonnes, respectively. As you can see below, not only is platinum production not expected to approach the 2011 peak for the foreseeable future, but the physical market has been operating at a deficit for the past five years, with no end in sight. In fact, platinum inventories are so scarce, Platinum Eagles bullion coins were discontinued by the U.S. Mint in 2008 due to a lack of supply – which they subsequently re-minted for one month each in 2014, 2016, and 2017; after which, they were in each case re-discontinued when sales reached the piddling level of 20,000 ounces. This past week, the metals world has watched – in shock, to those well-versed in it – as an old-fashioned physical short squeeze has occurred in palladium; with no other metal, from platinum, to gold/silver, to the other base metals, reacting similarly. No specific reason is understood to be the catalyst. Yet clearly, palladium futures backwardation is signaling a significant supply shortage – to the point that, palladium’s price discount to platinum has fallen to an all-time low of just 8%, despite no material “reason” to explain it. And trust me, much analysis has been put forth in the quest – per this article, published yesterday. Considering the past week’s violent Cartel attacks; the aforementioned fundamental factors; and its historic undervaluation relative to gold – and palladium; it appears like a good time to diversify, or add to, your Precious Metal portfolio with platinum. 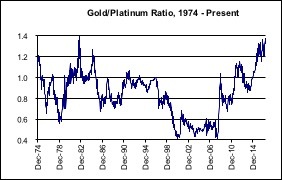 I have no doubt Precious Metal prices will rebound from today’s egregiously suppressed levels; and even if the gold/platinum ratio doesn’t fall all the way from today’s record 1.34 to its 40-year average of 0.84, I believe it will irrespective, fall significantly in the coming months; perhaps, if platinum, with essentially identical industrial fundamentals as palladium – with the additional “optionality” of quasi-Precious Metal demand – experiences its own physical short squeeze.